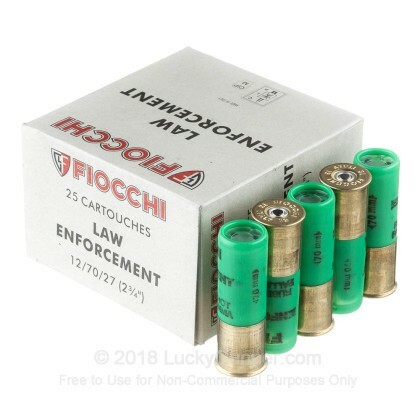 Originally designed for law enforcement, these 12 gauge shotshells from Fiocchi fire rubber buckshot that will put a hurting on whatever it strikes, but with a greatly reduced risk of causing serious injury. This ammo can still be deadly at point blank range, for better or for worse; treat shotguns loaded with it carefully! Each 2-3/4" shell in this box of 25 fires 18 pellets of rubber shot at a muzzle velocity of 790 feet per second. 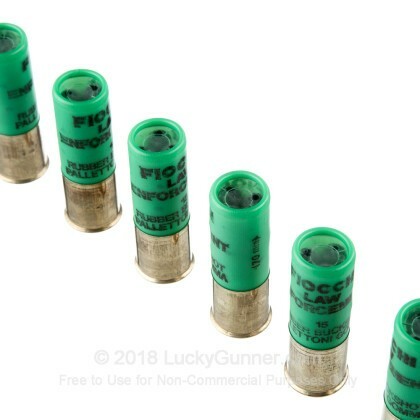 This low velocity reduces the potential impact damage of the load and reduces felt recoil significantly, allowing the user to maintain a higher rate of aimed fire to subdue the target quickly. Fiocchi is an Italian manufacturer with production facilities located in Lecco, Italy and Ozark, Missouri. The company was founded in the 1870s by the Fiocchi family, which continues to own and manage it today. 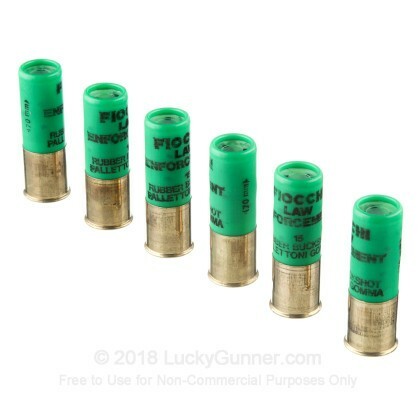 Fiocchi's American operation is relatively new but have quickly established a strong reputation for offering quality ammo at reasonable prices. 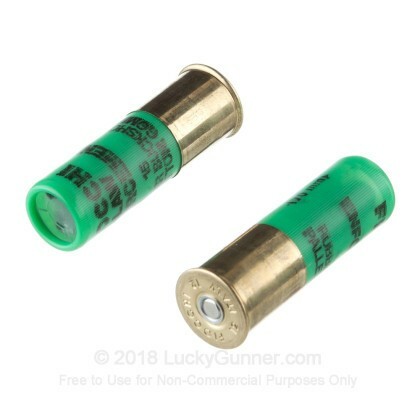 Very good product for non-lethal bear control and at a very good price. I use this for discouraging the bear from getting my garbage, birdfeeders, etc. It is very effective to say the least. This is high-brass ammo, and seems to be a bit hotter than my previous brand. I am very pleased, and would recommend this product highly. 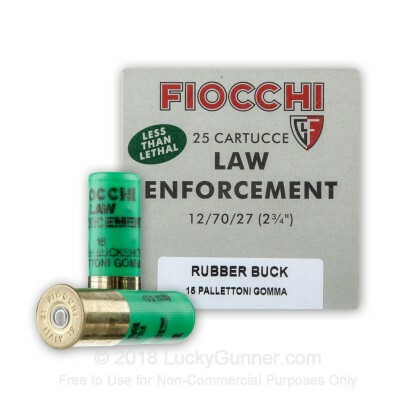 We also have this 12 Gauge - 2-3/4" Rubber Buckshot - Fiocchi Law Enforcement - 250 Rounds ammo in stock in a bigger quantity.